Make this Alice in Wonderland coloring sheets for kids come alive with great colors and create a beautiful piece of art to hang in your room or on the fridge. There is nothing more satisfying for kids as finishing a beautiful coloring creation. They can give it away as a gift or you can hang it for display so everyone can see their works of art. 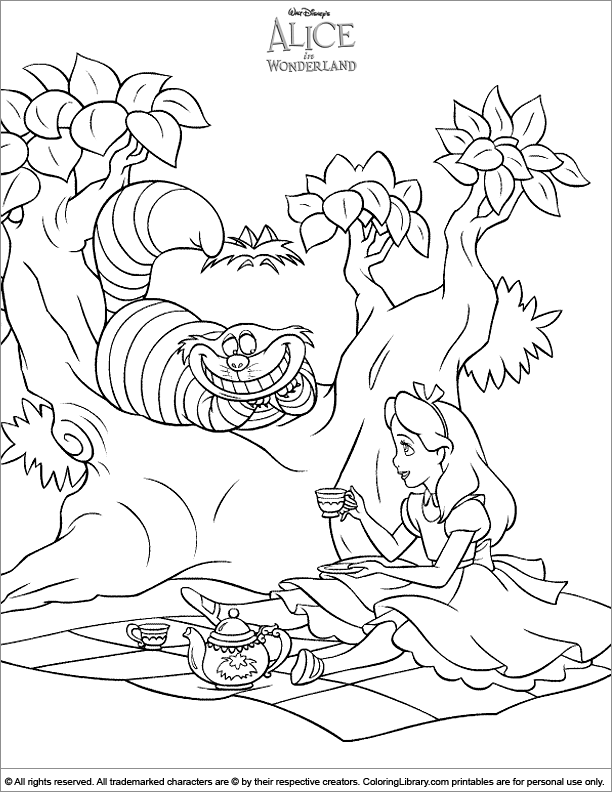 You can find more Alice in Wonderland and other cartoon character coloring pages in our Library.